Want To Travel More Often For Very Cheap? We Can Show You How! Posted on November 12, 2013 by Guillermo R.
My Name is Guillermo Rodriguez and my wife is Samantha. We have earned and redeemed millions of airline miles and hotel points since we got married in 2008 – Almost all of them were earned without having to fly in airplanes or staying in hotels. They were earned by applying for travel credit cards with big reward programs. 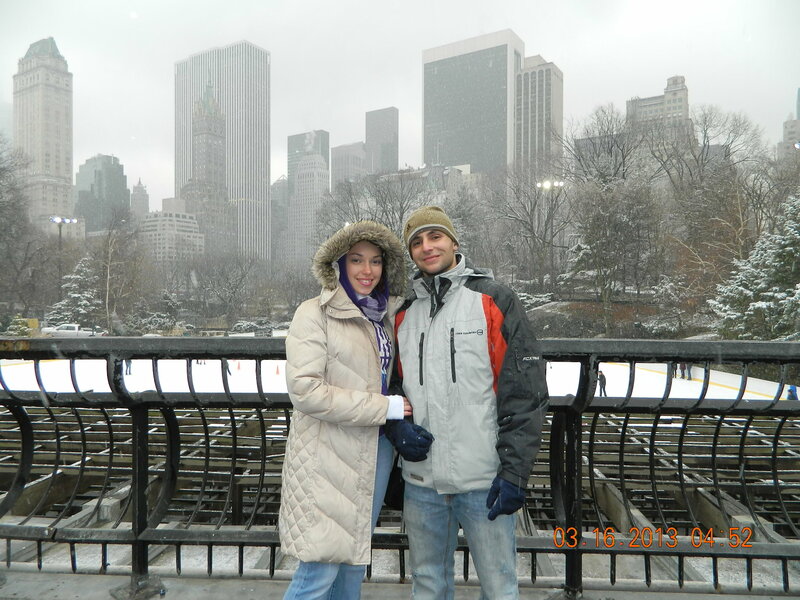 This picture was taken in Central Park in front of the outdoor Ice-Skating Ring! What is this blog about and what can I learn here? I have always been good at find­ing good travel deals, but in the past few years I’ve become a fre­quent flyer miles expert. I want to share my knowl­edge with fam­ily, friends and their friends so that every­one can do what I do. I am going to dis­cuss meth­ods for trav­el­ing for free or very very cheaply by effi­ciently earn­ing miles in fre­quent flyer pro­grams and then redeem­ing them for trips around the world. I am going to share my sto­ries and super opti­mal ways to redeem miles. I like keep­ing up with news of offers and deals around the fre­quent flyer com­mu­nity and will be shar­ing the best bonuses and best uses of your miles to make sure no one leaves any miles on the table! I decided to write this blog to show others how they can also acquire lots of airline miles and hotel points to travel around the world. By reading Award Travel Points you will learn how to travel more often with less money, stay in top hotels and fly all over the world for much less than retail price. Since getting married 5 years ago, my wife and I have visited Australia, New Zealand, Italy, Spain, Alaska, The Caribbean, New York, Texas, California, Orlando and 5 times to our favorite place in the world, Hawaii. Lol. Thanks to Award Travel with Miles and Points I mostly fly on International First and Business Class for almost no money out of pocket (where tickets costs about $20,000 per ticket) to Europe, Asia, and the United States… I plan to use my knowledge and experience through this blog to help readers and their families travel and explore the world for less. 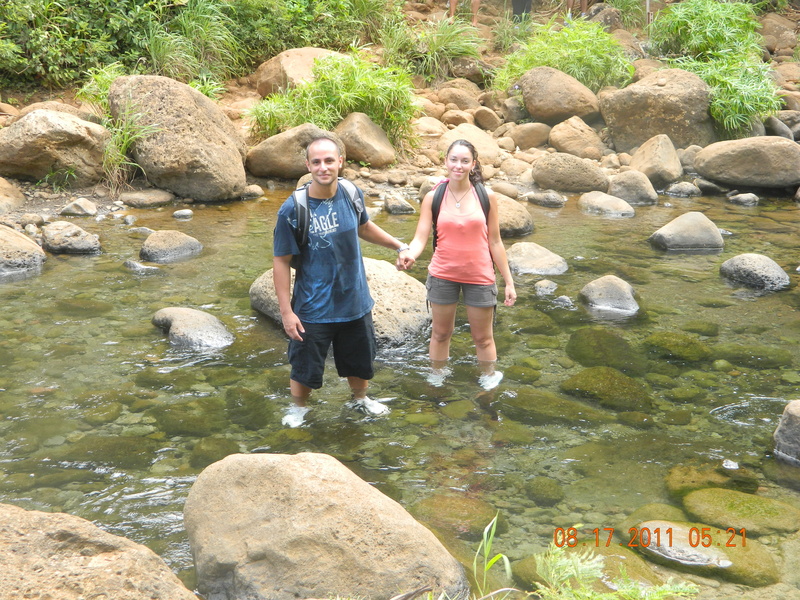 Hiking the Kalalau Trail in Kauai, Hawaii 2011! 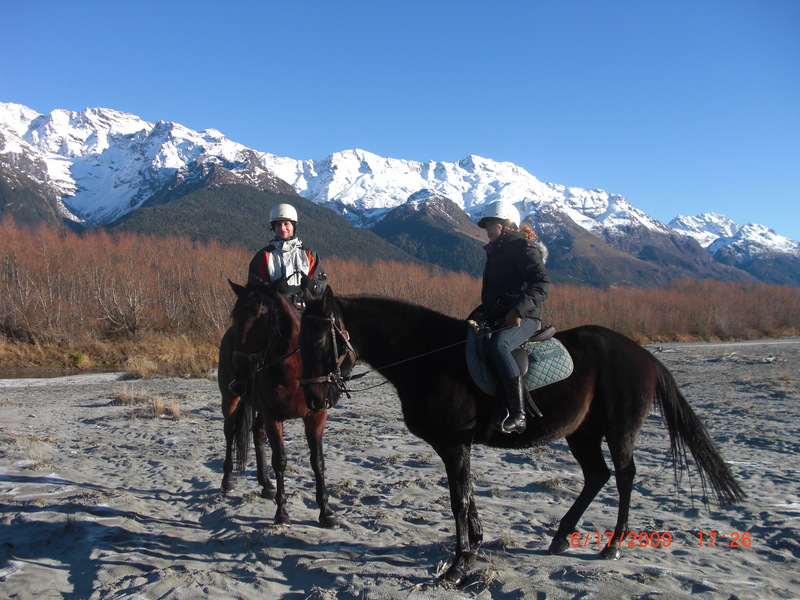 Riding horses in Queenstown, New Zealand 2009! Together we have been able to earn and use over 3 million points and miles in the last 5 years to Travel to many places around the world for free and I plan to show everyone through this Blog how to they can also accomplish traveling with Miles and Points to reach their desired Destinations through credit cards deals! Follow our Blog if you would like to travel like we do and join a community of thousands of people that share the same interest of seeing the world for very cheap. We can help each other travel more often for free to our favorite destinations and share how we made these trips possible with points and miles! 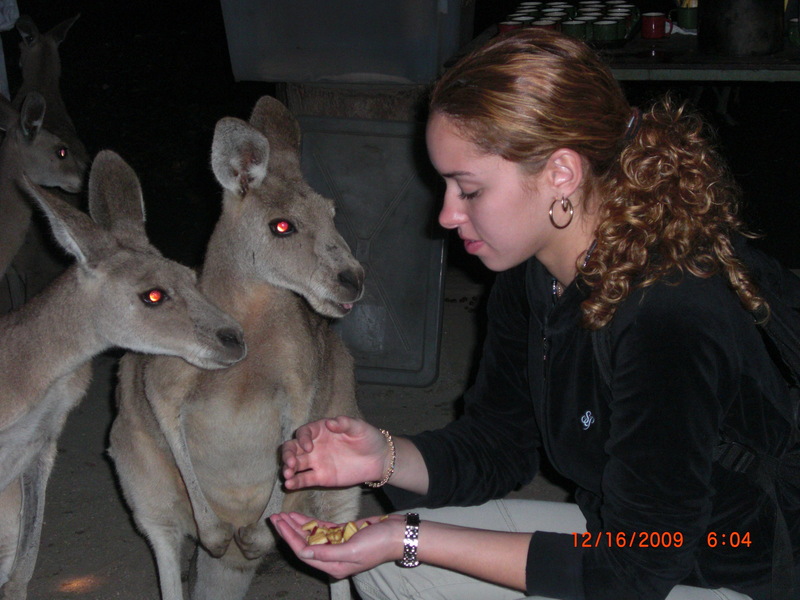 My wife feeding the Kangaroos in Cairns, Australia 2009! This entry was posted in Award Travel Tips, Travel Tips and tagged #airtravel, #awardbooking, #awardbookingservice, #awardbookingtips, #awardtravel, #awardtravelpoints, #bestcreditcardbonuses, #bestcreditcards, #bestcreditcardtips, #besttravel, #besttravelcreditcards, #bestwaytotravel, #bestwaytotraveltips, #frequentflyer, #frequenttravelrewardsprogram, #travel, Alaska, Australia, Cairns, Central Park, Credit card, Frequent-flyer program, Guillermo Rodriguez, Hawaii, Kalalau Trail, Kauai, New Zealand, Tourism, Travel agency, Travel the world for Free, United States, Waikiki, Want To Travel Around The World Almost For Free. Bookmark the permalink.